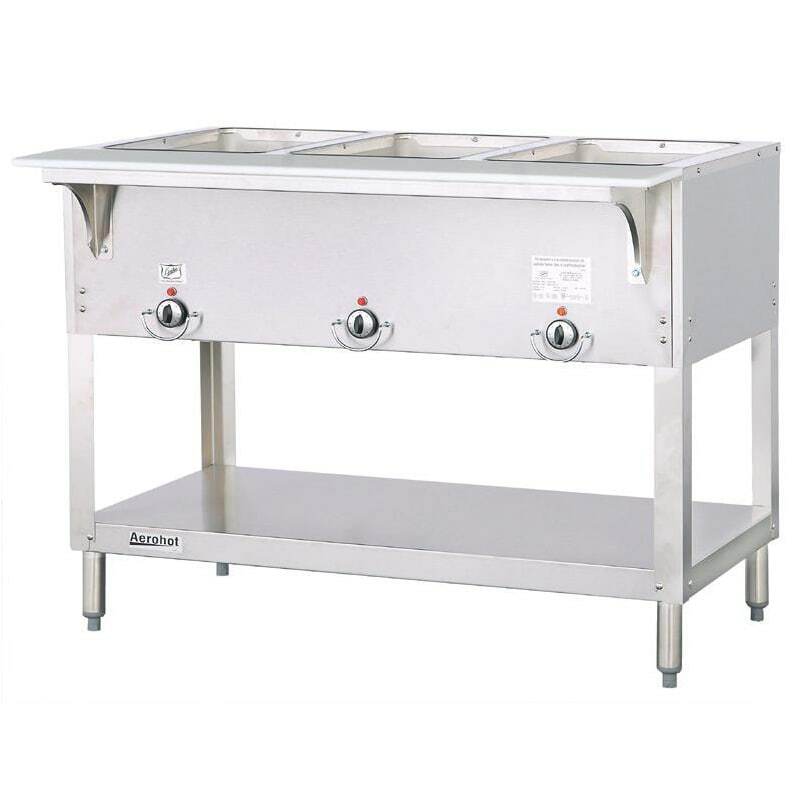 The E303 240 is a hot food unit with three compartments for holding up to three full-size food pans or their fractional equivalents. 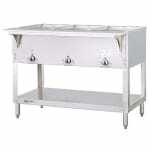 Independent heat controls and full insulation for each heated opening allows you to store food at three different temperatures. A full-length plastic cutting board on a stainless steel shelf makes serving food easy.